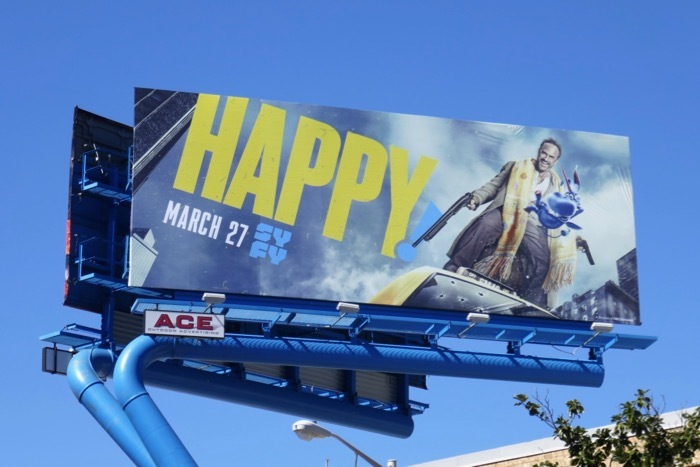 This March the adventures of a hitman and his imaginary unicorn friend return to the small screen for second season of being Happy! 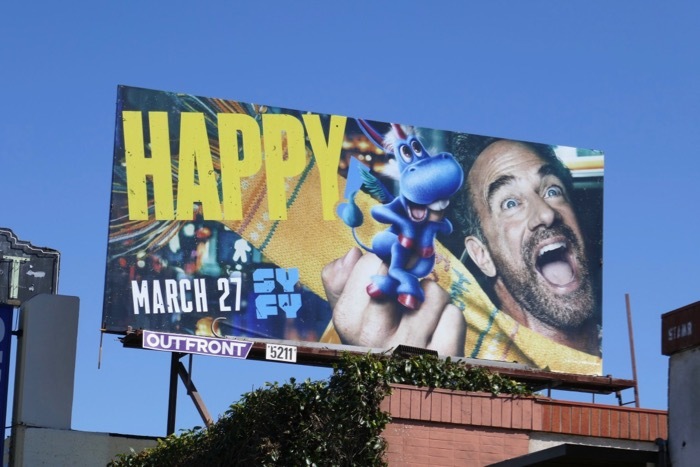 Based on writer Grant Morrison and artist Darick Robertson's graphic novel of the same name, Law & Order: SVU's Christopher Meloni reprises his role as 'Nick Sax' and Patton Oswalt continues to voice his titular flying blue unicorn pal in the bonkers black comedy/crime/fantasy series. 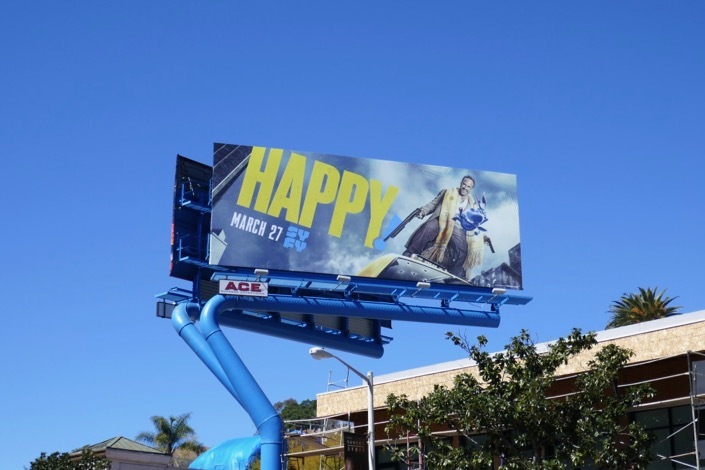 These season two billboards were snapped along the Sunset Strip and Pico Boulevard on March 12, 2019. 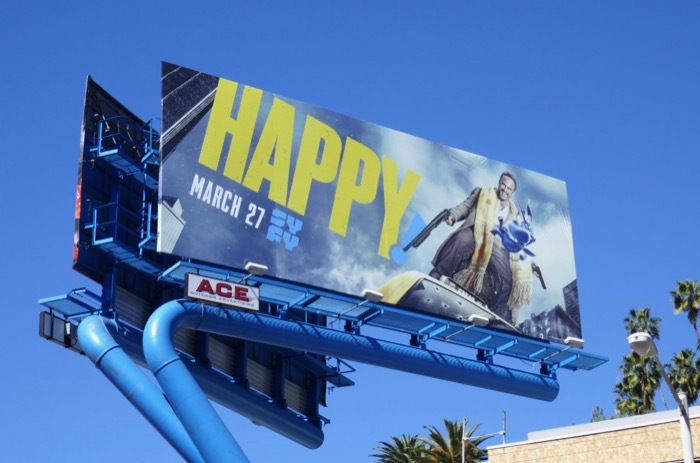 Fans of the Syfy show can also check out these season one billboards for Happy! from December 2017. 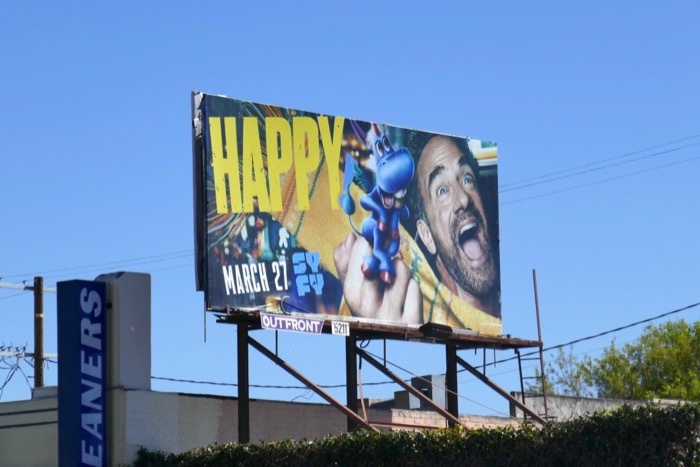 Can this ex-cop, hitman and alcoholic stay on the straight and narrow this season for the sake of his daughter, or with he give in to this vices and brutal urges when more kid kidnappers threaten to ruin his day.